Look the best you possibly can in a Levi's waistcoat brillo grey and navy jeans. 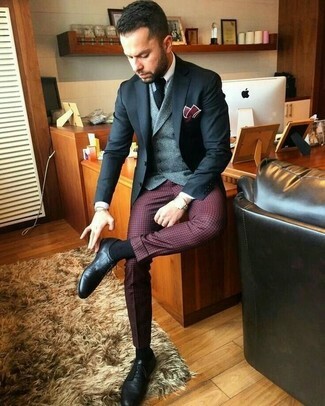 For a nothing less than incredibly stylish look, choose a Levi's waistcoat brillo grey from Levi's and burgundy check dress pants. Add a more relaxed vibe to your outfit with black leather derby shoes. 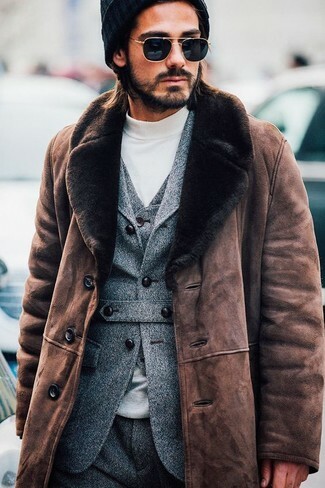 Reach for a Levi's waistcoat brillo grey from Levi's and a camel overcoat for incredibly stylish attire. For a nothing less than incredibly stylish outfit, reach for a Levi's waistcoat brillo grey from Levi's and white chinos. 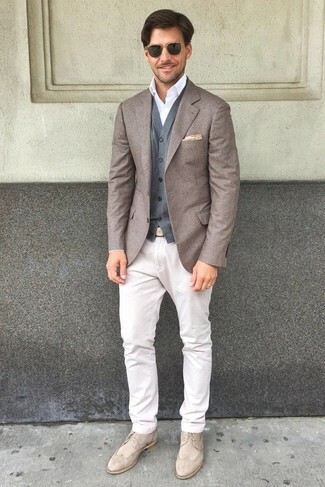 Choose a pair of beige suede brogues for a more relaxed feel. For a nothing less than incredibly stylish look, team a Levi's waistcoat brillo grey with beige corduroy jeans. 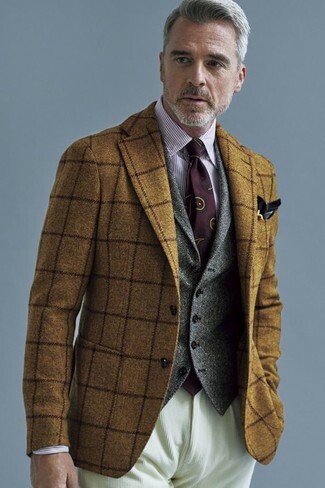 No matter where you go over the course of the evening, you'll be stylishly prepared in a grey wool waistcoat and grey wool dress pants. 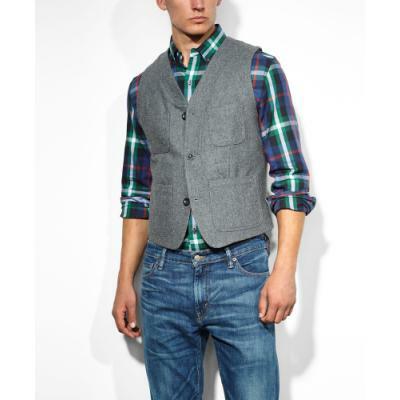 Consider pairing a Levi's waistcoat brillo grey with blue jeans for a sharp, fashionable look. Grab a pair of black suede loafers to make the getup more current. 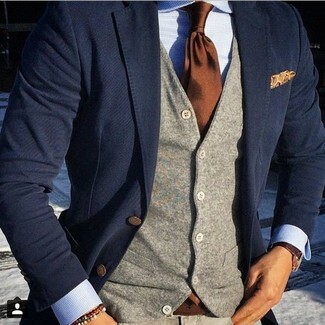 For a nothing less than incredibly stylish ensemble, rock a grey wool waistcoat with blue chinos. When it comes to shoes, this look is round off well with blue suede derby shoes. 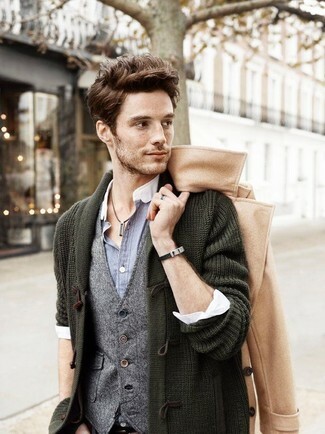 Look the best you possibly can in a Levi's waistcoat brillo grey from Levi's and a navy blazer.